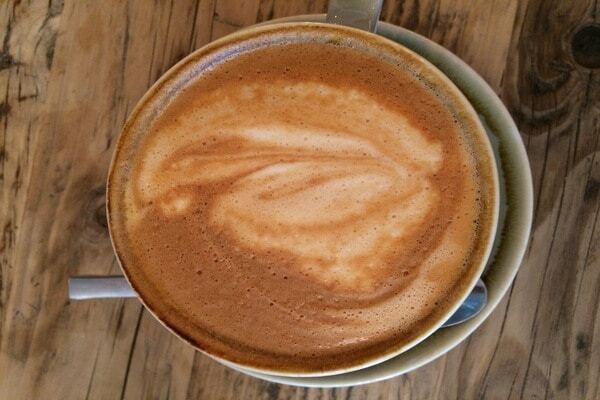 Situated at the top end of Ship Street on the edge of the Lanes and right next door to the Steamer Trader Cook Shop this new coffee house offering could not be better situated for coffee lovers and foodies alike. With a large black canopy and an al fresco seating area, this place is hard to miss. Once inside, your eyes are drawn past the small amount of seating at the front, across to the food and drinks counter and then further still into the open kitchen. The food counter has an inviting display of pastries and open sandwiches to choose from if you just want to grab a takeaway or all the tables have menus to make your choice from. Tucked away under the impressive open staircase there is a coffee blending machine together with the sacks of coffee beans from the fairtrade farms they have been imported from. A few times a week the co-owners (and also brothers) come into the building and make their own coffee blends – to serve on-site, as retail or trade. Their house blend is Green Monkey and is an organic blend of beans from Peru, Guatemala, and India. My dining companion chose this to have as her drink and said that it was lovely, smooth and not too heavy for a flat white. 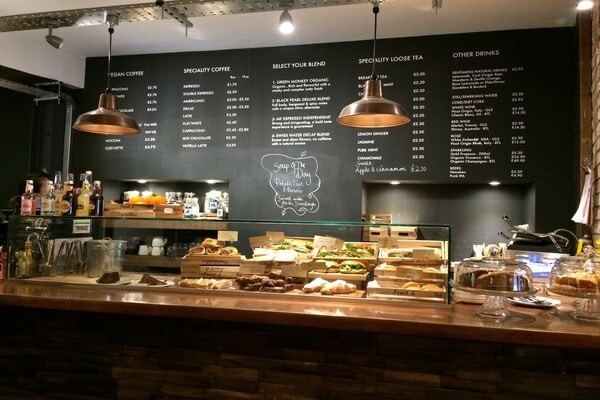 It’s not just coffee, their tea is loose and is all sourced from a family-run tea garden in Naga Land, East India. Personally, I don’t drink tea or coffee so opted for a hot chocolate (of course! 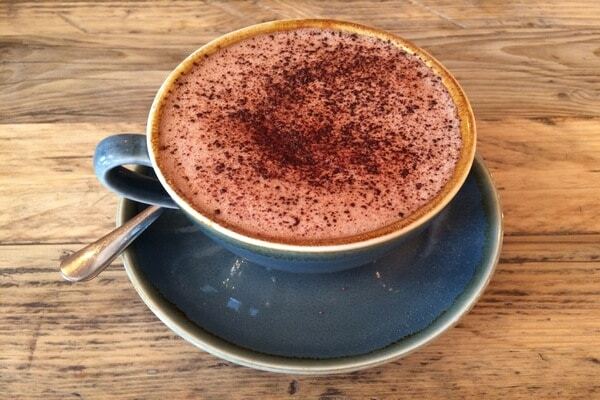 ), and even this was a delight – deliciously smooth and dark – and was most definitely one of the better hot chocolates that I have had in a long while. Heading upstairs to choose a table, the space was all high ceilings with exposed brick and gorgeous chandeliers. The modern drop lighting over the staircase looked a little like an art installation in itself due to being in front of a huge mirror which again made the space feel airy and light. 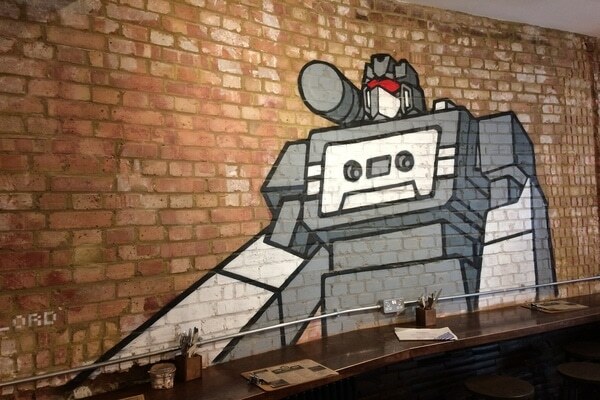 Talking of art, the popular Brighton street artist, Cassette Lord, has provided his wares that adorn the walls and are also available to buy. My friend is currently studying for a degree, and always takes her text books to places to study and she was so excited to see this space. With the big tables and also a few sofas she said this was the perfect space for her to sit, relax and hit the books whilst drinking copious amounts of tea and coffee! The menu set across a single page is well laid out and easy to read. There is a good selection of breakfast, brunch and lunch items. The kitchen is only open until 3pm daily and then its beverages only. 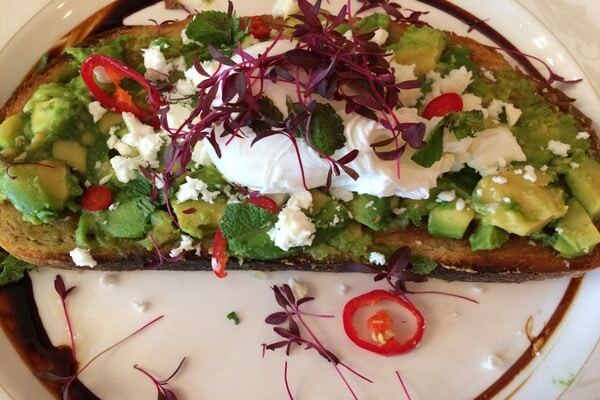 I opted for the Avocado Smash (smashed with feta, lime, chilli, mint and a poached egg served with a slice of toasted sourdough). It looked amazing when it arrived – served on a single (although substantial) slice o f sourdough the colours of the avocado, chilli and herbs popped off the plate. The mint combined with the avocado and lime was delicious and you got the flavour with every couple of bites and the feta added a creamy consistency. The egg was cooked to perfection and it poured over the dish when I cut into it. 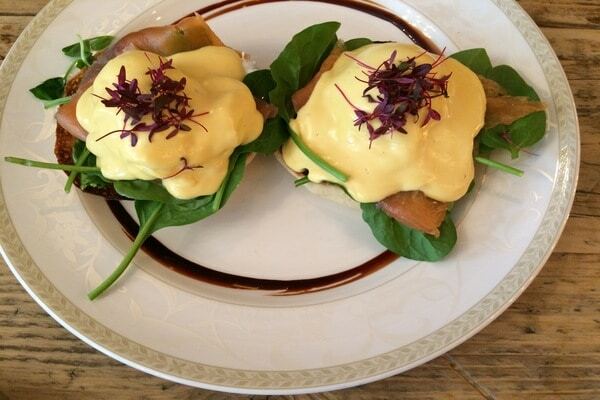 My friend chose to have the Eggs Benedict (2 organic poached eggs served on a muffin, topped with hollandaise sauce with Scottish smoked salmon and spinach). She was very impressed! The eggs were again cooked to perfection and the Hollandaise sauce was one of the best that she had had in Brighton for a long while. The spinach being added raw and just left to wilt under the warm sauce was a nice touch and gave a nice crunch to the dish. The only niggle my friend had was that the muffin was a little doughy and she would have liked it toasted for just a little while longer. My own little budding restaurant critic (4yr old! ), was equally excited and decided to eat from the main menu. For the younger diner, there is a separate menu that offers toasties or eggs and beans on toast with a drink, but he had spotted pancakes being served to another table and that was what he wanted! 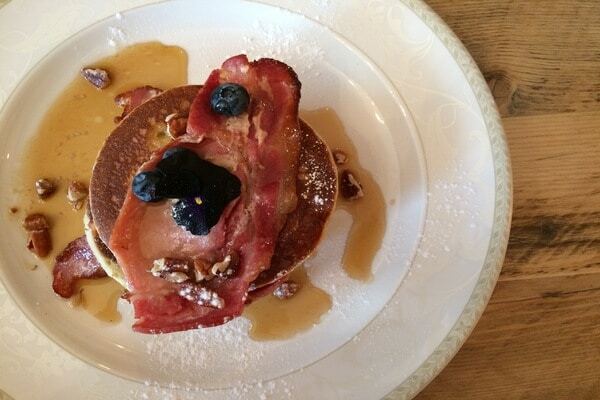 There are three pancake dishes but he decided upon smoked back bacon topped with maple syrup and crumbled pecans. It was served as three stacks of pancakes with bacon in each layer and a few blueberries. So often with pancakes you have to request additional maple syrup but not here, they were drenched and the made the pancakes beautifully moist. The bacon was well cooked but wasn’t crispy which made it easy to eat – the 4-year-old loved it! The dish was a good size and the pancakes manageable – quite often with pancake dishes you end up leaving so much they are so big and stodgy! In all, this place is a real find and refreshingly not a chain – although I suspect that with the potential success of it, there will be a few more popping up in time. The three of us all really enjoyed our visit and felt really well looked after throughout our time there. I have no doubt that we shall all be back.